The Health Economists' Study Group (HESG) Summer 2013 Conference will be held on 26-28 June. It will be hosted by Warwick Medical School. The conference venue will be Scarman House on the University of Warwick campus. The conference abstracts are now available to be viewed online. Please indicate your preference(s) for the role of discussant or chair via the following page. The academic content of the meeting will follow the standard HESG format with papers submitted in advance, introduced and reviewed by a discussant other than the author - for further details please visit the HESG website. There will be a plenary session on the Wednesday evening on challenges facing health care policy in the UK with presentations by Professor John Appleby and Professor Martin Knapp. There will also be a business meeting within the programme. The conference dinner will be held on the Thursday evening at Jephson's Brasserie in Leamington Spa. 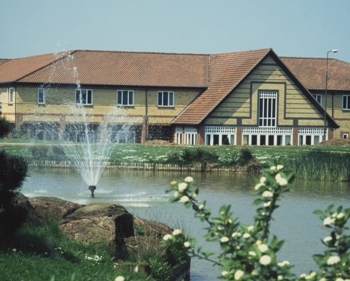 The meeting will be held at Scarman House, an award-winning training and conference centre. Accommodation is available at Scarman House for delegates. Situated in the heart of England, the University of Warwick is easily accessible by road, rail and air.